John Anderson has seen it all during the course of his long association with the Minnesota baseball program, which dates back to his playing days in 1974. He was voted Team MVP of the 1977 Minnesota team that went to the College World Series — the last Gopher team to win a regional until 2018. Anderson has led Minnesota to 19 regionals in 37 years as head coach, but the 2018 team team will go down as his best squad to date. Anderson said he has detected some extra excitement around the program after the Gophers went 44-15 overall, 18-4 in the Big Ten, hosted a regional, and advanced to the Corvallis Super Regional. The atmosphere at Siebert Field was electric during that home regional, and the sense of anticipation for the 2019 campaign has been heightened like never before. 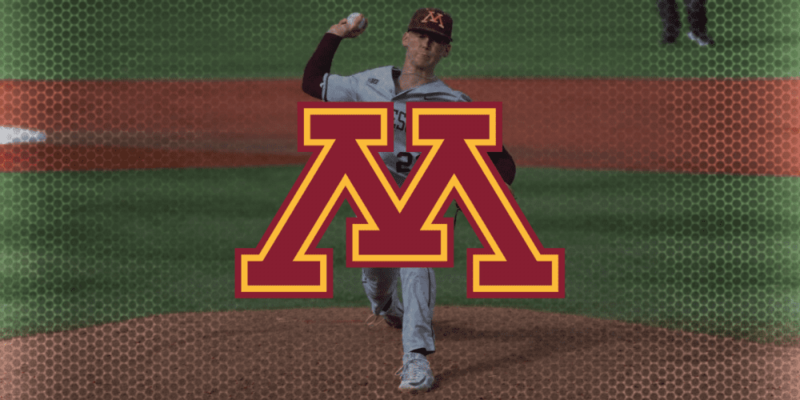 Certainly, the Gophers have some big shoes to fill after the departure of lineup mainstays Terrin Vavra, Luke Pettersen, Toby Hanson, Micah Goffey and Alex Boxwell, along with veteran ace Reggie Meyer. But there’s a whole lot of talent back on this roster, especially on the mound. The Gophers have a chance to ride their deep stable of quality arms to another postseason run if everything comes together as hoped.